When planning for comfort and durability, along with incredible savings over the coming years, the best choice is an energy efficient house. But how do you choose the right energy efficient house plan for you and your family? There are a few different points of interest to examine when choosing, so let's take a look. What is an energy efficient house plan? An energy efficient house plan utilizes better use of design space allowing for open design to make smaller sq. ft. homes feel bigger and much more spacious. Energy efficient homes are designed so they are affordable over the years, providing you with incredible savings on utilities thanks to environmentally conscious designs along with using eco-friendly fixtures and other items in the build process. Plans can range in size from very small and compact to luxurious and large, so it doesn't matter your lifestyle, there is a greener option for everyone. Beyond the practical benefits, there is increased comfort and durability over the life of your house. When building with the best insulation, structure, day lighting options, and sealing, you end up with a more sustainable home. Our housing plans increase natural lighting, decrease the amount of electricity in use, along with other eco-friendly methods. We certainly don't eschew style either; our homes come in many different architectural styles that cater to all tastes. 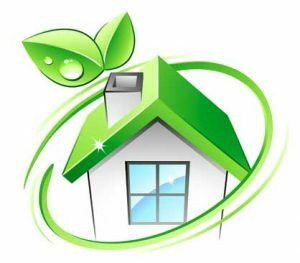 Energy efficient house plans are also referred to as green house plans since they are designed with reducing energy consumption and utility costs. They also consider materials and techniques that reduce the environmental impact. These "net-zero" house plans often go beyond energy efficiency to consider energy production. Our energy efficient house plans are designed for a vast array of consumers from the level of energy efficiency to price to style. When you choose an energy efficient house plan you are choosing to build a house that is green from the very beginning. From the construction (methods and material choice) to the living as you'll experience energy-saving features that will benefit you from day one to the day you decide to sell. 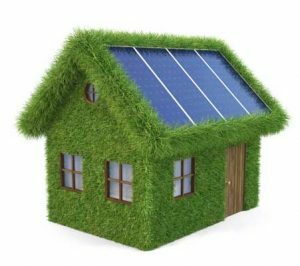 In fact, you'll also discover that the resale value of energy efficient houses are better than those that do not incorporate the same eco-friendly methods. You'll also enjoy tax breaks and other benefits! When you make your home in humid, hot Florida you'll certainly find it a challenge when working with an architect or designer. These professionals need a clear understanding of the state's environmental matters. When you choose us, you're choosing energy efficient house plans that are designed with these realities from the start: energy-efficient designs that are created with Florida in mind but also incorporating good taste and construction methods. We offer ranch houses, two-story homes, elevated coastal homes, slab floor house plans, basement house plans, luxury homes, tiny house plans, and, of course, custom house plans. For three decades, Florida state has encouraged energy-efficient home design. When coupled with great designers, builders, and home buyers, the environment locally has produced a great proving ground for solid eco-friendly design. It's from this design philosophy that we begin, but we also bring you into the process so we can truly shape a great vision into reality. Whether you're looking for ready-made house plans or custom designs, we'll make sure you find the one right for you. When selecting a Florida energy efficient house plan, make sure to know the orientation of your lot: is it facing east or west? North or south? Some of our plans are designed for specific orientation, but all are energy efficient. How do you choose the right energy efficient house plan for you and your family? There are few things to consider before jumping in. You'll need to plan on storage space, closets, the flow of the kitchen work space, split bedroom designed vs. bedrooms on one side of the home, the view from the family rooms to the rest of the house or outdoors, and deciding if the kitchen is open to the family room but also protected from onlookers that may come from the front of the house. Green features in a home include natural lighting and ventilation, environmentally conscious building materials, and other options. Whether you're going for a small and modest footprint, or you want a larger family-friendly space, all our plans are designed with energy-efficiency and green-consciousness. You'll want an energy efficient house plan that will allow for growth as your household grows (or shrinks). Also, passive heating (solar) is always an option depending on your lot's orientation. Our plans are green from the get-go, and we go above and beyond by specifying materials and building practices that are green and energy efficient. You may find your dream house among our existing energy efficient house plans, but if not, we can work on a unique design just for you. 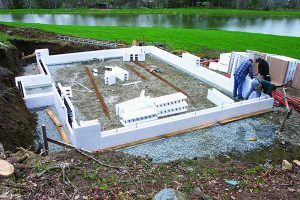 These unique plans incorporate the same eco-friendly and green methods that are found in our existing line of energy efficient house plans. Not everybody caters to home buyers and owners who want unique energy efficient house plans in Florida. That's why we've come up with zero energy house plans and elevated coastal plans that are energy efficient. It's hard to find these, but we've got over thirty of them in modern designs that are sure to suit your particular taste. When building a unique energy efficient house, we work with our customers to make sure their style needs and energy efficient and eco-friendly needs are all met. We understand the Florida market and environment better than the rest and that shows in our unique custom energy efficient house plans. Call us up today, and we'll get started on a unique plan just for you. What is the cost of a Florida energy efficient house plan? This is an important topic as it focuses more on the experience of the designer than anything else. 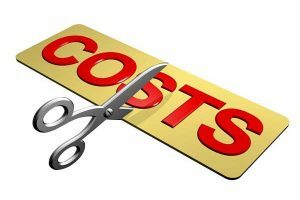 Here at Gast Homes we've solved a few problems with this equation of experience vs. cost so we can pass on savings to consumers without them giving up valued experience and solid design. Typically this is how the process of a house plan works: the owner draws the primary design using CAD software and then forwards it to the architect's engineer who will endorse and certify the structural load requirements. Not only this, but a certified and licensed (BPI) Building Performance Institute Quality Control inspector must check the energy consumption and design. Most standard house designers will charge $7 to $10 per square foot based on this process, but we at Gast Homes offer energy efficient house plans for just a few dollars since it's our passion and our house plans are reused for hundreds of houses, which contributes to the low cost as well. Even if you're opting for a custom plan rather than one of our existing designs, we will work with you to come up with the best energy efficient house plan at the best price. We'll incorporate your designs taste and current and future needs into a custom plan that will work for you. How much can an energy efficient house plan save? When thinking of an energy efficient house it's not only the environment and locality you're helping to save, but your own bottom line. Just on upfront savings, you're looking at $15,000 to $23,000 right away but then another $15,000 to $20,000 over a decade in low energy costs. Also, consider that energy efficient HVAC systems, which are running far less the usual, can last twice as long, saving you on replacement costs. Our energy efficient house plans are designed to take advantage of energy-saving measures so in the end you'll not only be green-conscious in your decision but pragmatic in saving on future costs of utilities and replacement costs of HVAC and other items. You can reduce your energy costs by 20-30 percent and even reduce water usage by using plumbing fixtures and faucets that are green and eco-friendly. Maintenance costs are also reduced as high-quality building materials can lead to better construction methods with the net result of longer durability and usage. Not only are you saving upfront and saving on utilities and repairs over the long-run, but you are also adding to the resell value of your home vs. a non-energy efficient house. The current market demand (and long-term trends) all point toward energy efficient houses being at the top of the list when it comes to consumer choice. What about taxes? Not only will you enjoy Florida state tax breaks on energy efficient homes, but also local and federal tax breaks that are potentially offered when choosing to build an energy efficient house. 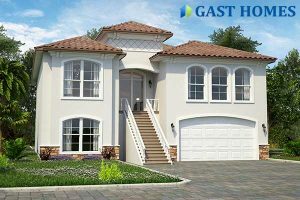 Every single Gast Homes plan is an energy efficient house plan with a complete and detailed material and labor take off, allowing the consumer instant pricing to all our plans and many commonly requested additional options. Our pricing is so exact that we don't overprice per square foot. We have an in-house custom software that considers thousands of components that would be needed to build each energy efficient house plan, and if a single component changes (which it often does during planning), then this will be reflected on all house planning instantly. The end goal is to have a new construction home built that is energy efficient and fortified strong at a price close to buying an existing older home. When you choose Gast Homes for your next energy efficient house plan you are going with a designer who has had hundreds of homes built from their plans. Beautiful, energy efficient houses with home owners who are happy and already saving through eco-friendly energy conservation practices that are built right into their new homes. We work with each and every customer to make sure they get exactly what they want. Everyone has unique needs, but we're all living in the same great state. That means that you need a designer who is fluent in the needs of our local environment while still incorporating green building practices from three decades' worth of eco-friendly construction. Gast Homes tailors your design needs as well. Everyone is different and with different tastes. Perhaps you want something with a modest footprint: we can help you with that. Our home plans come in many different shapes and sizes while still maintaining an eco-friendly design philosophy. We can custom design an energy efficient house plan for you, too. Perhaps you want something just a bit different from our already vast selection. That's not a problem. We'll talk with you about your current and future needs, and then draw up a design that will perfectly suit you and your family. 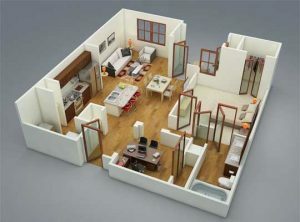 From style to practical matters of room location we will make sure your custom energy efficient house plan is perfect. All the while, you'll be getting an energy efficient house plan that is more affordable than the competition while still maintaining the highest quality of design and building standards.